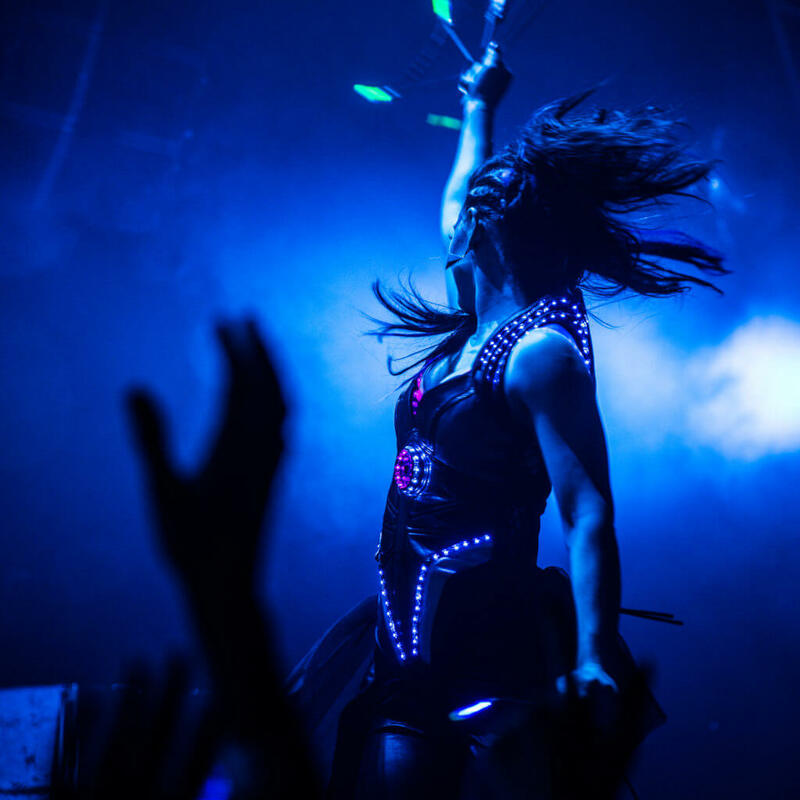 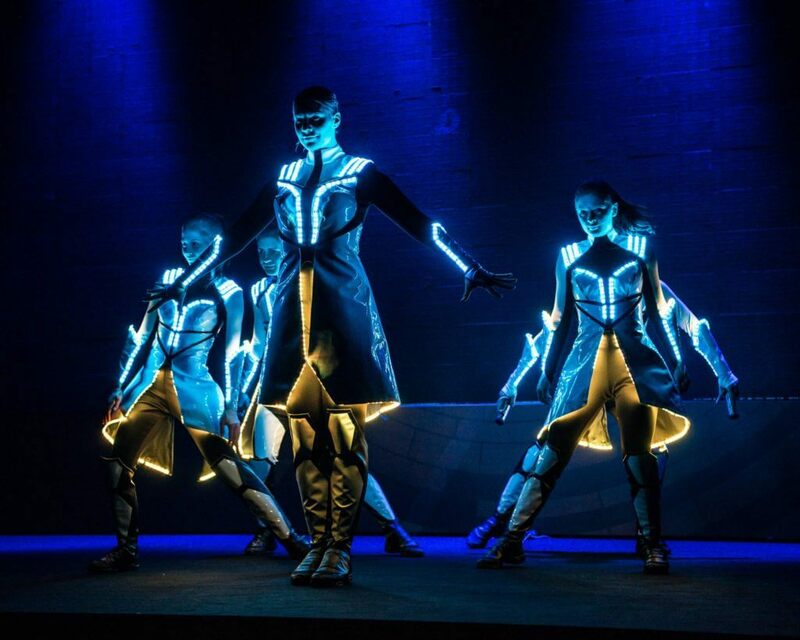 Futuristic costumes. 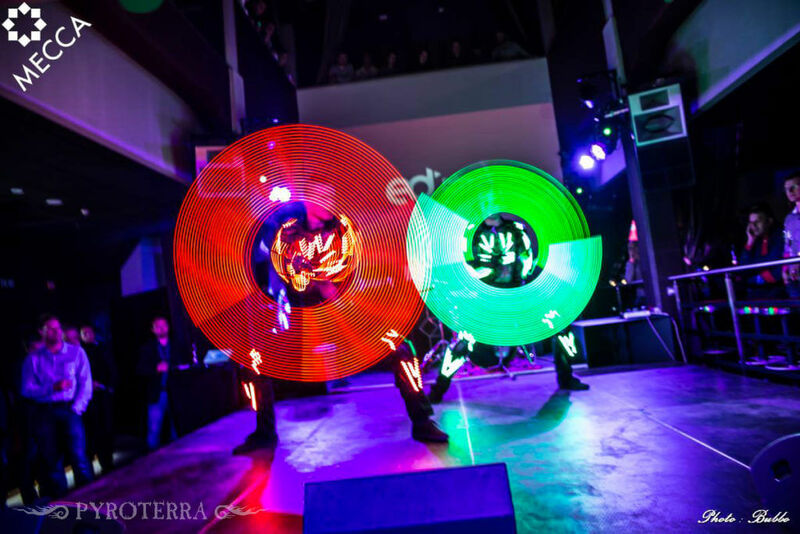 Your logo in action. 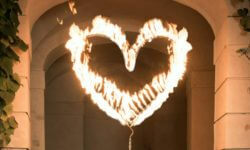 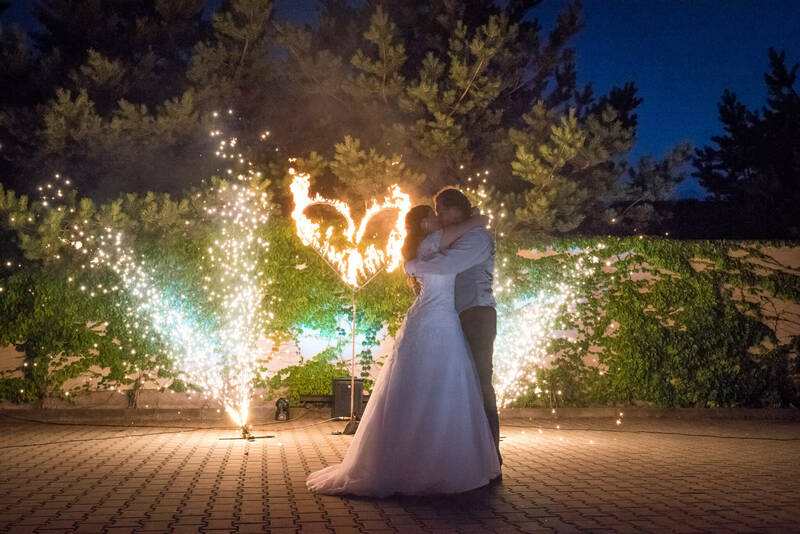 Let's make your event unforgettable. 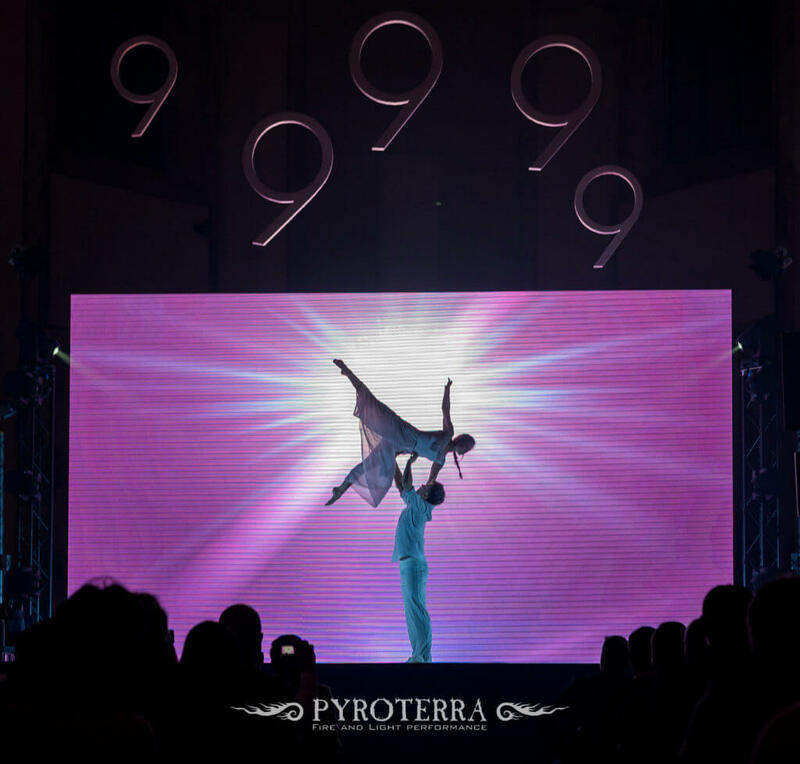 An ambitious and energetic team powered by the desire for challenges. 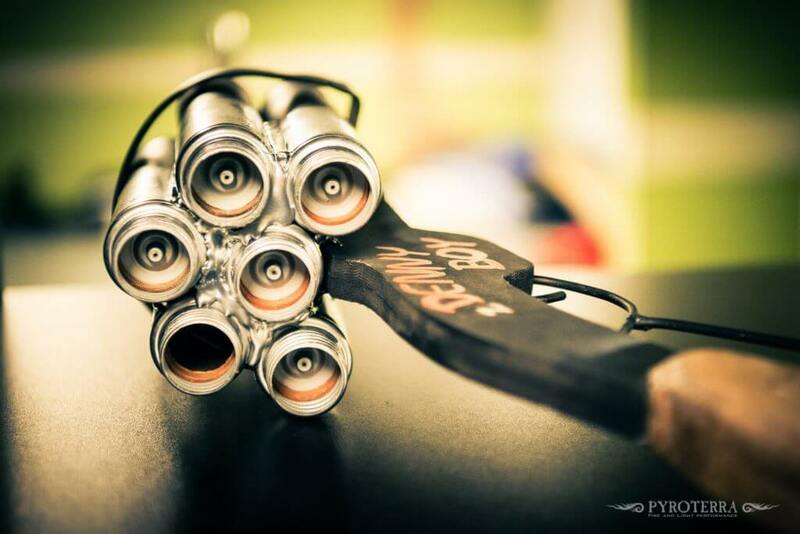 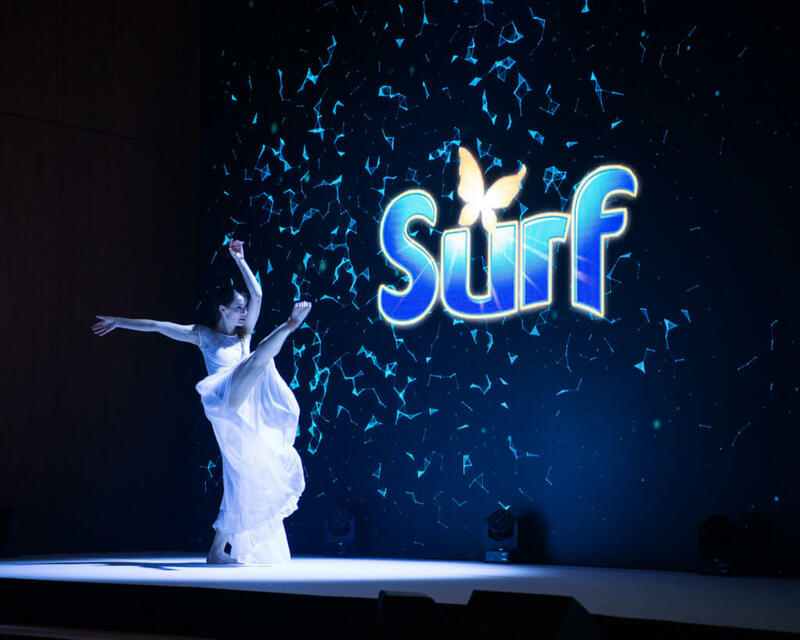 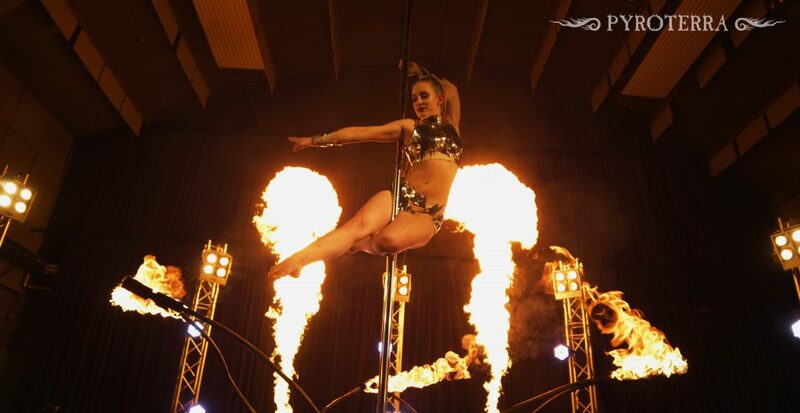 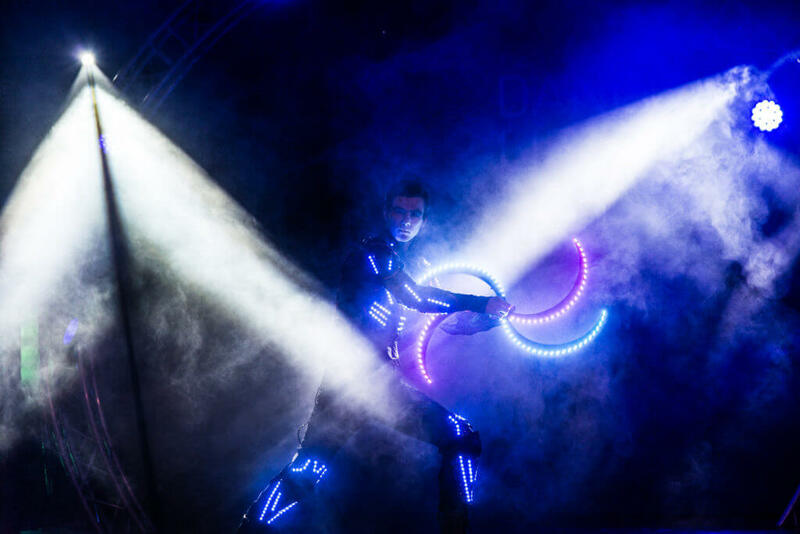 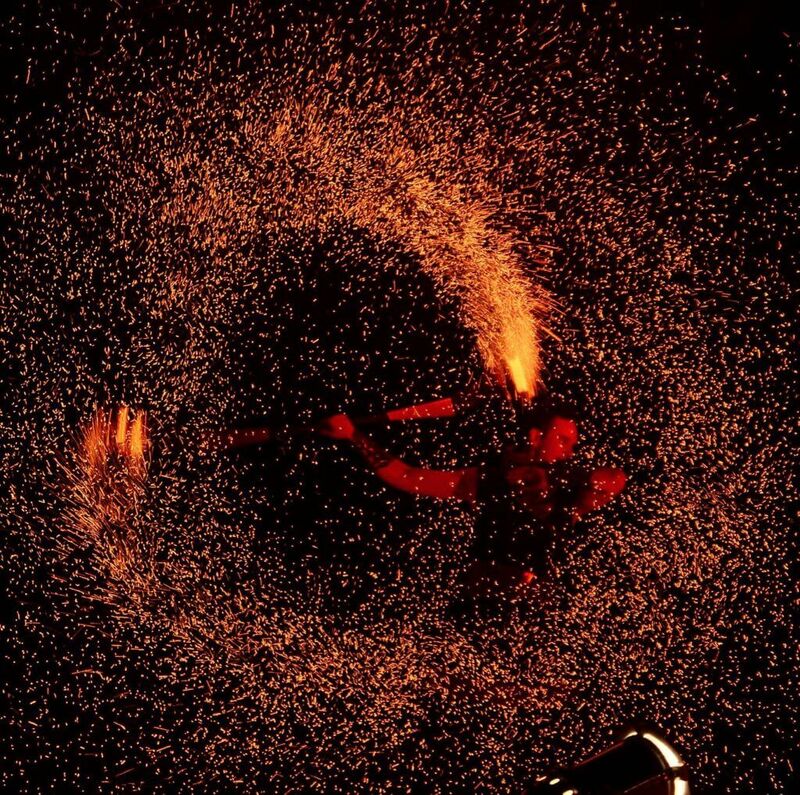 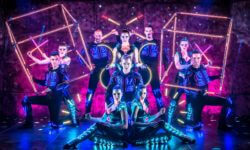 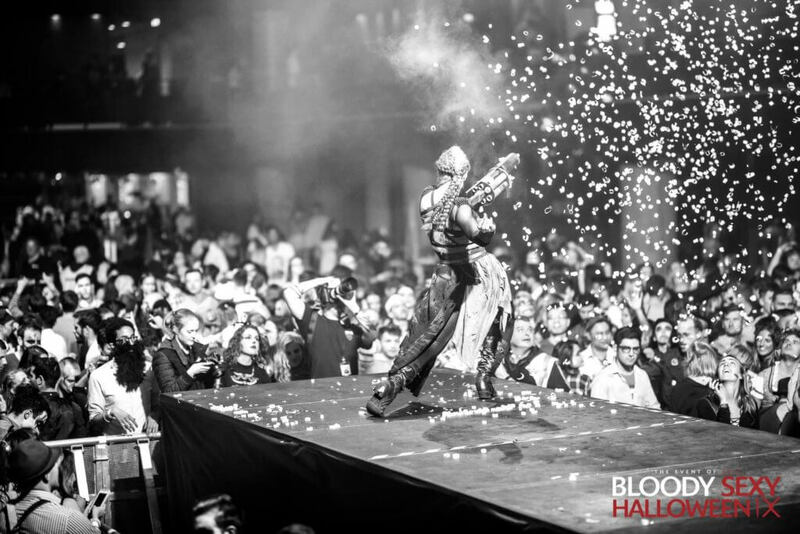 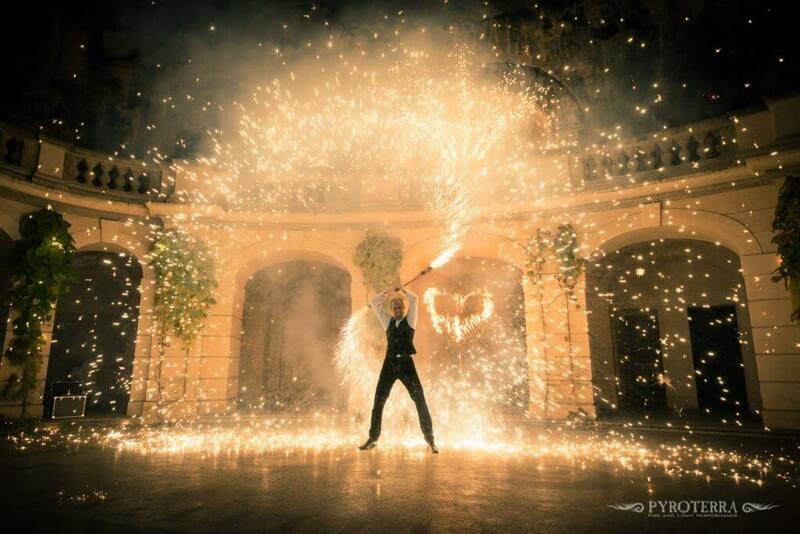 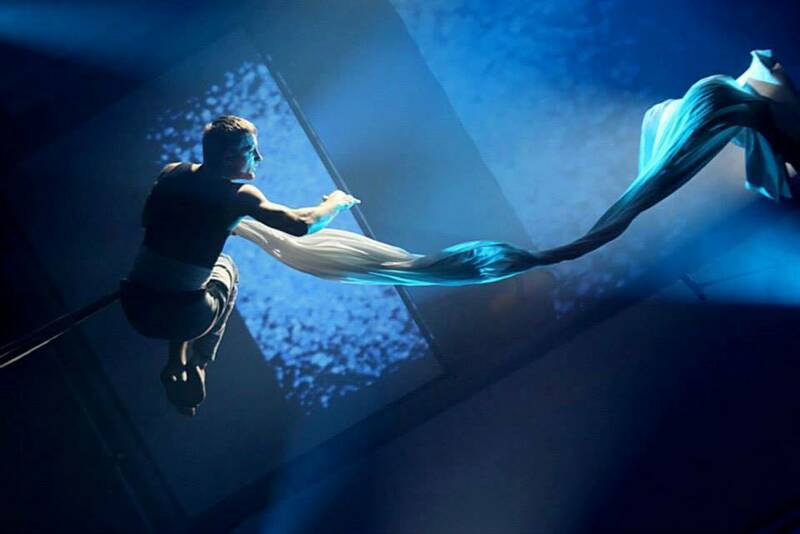 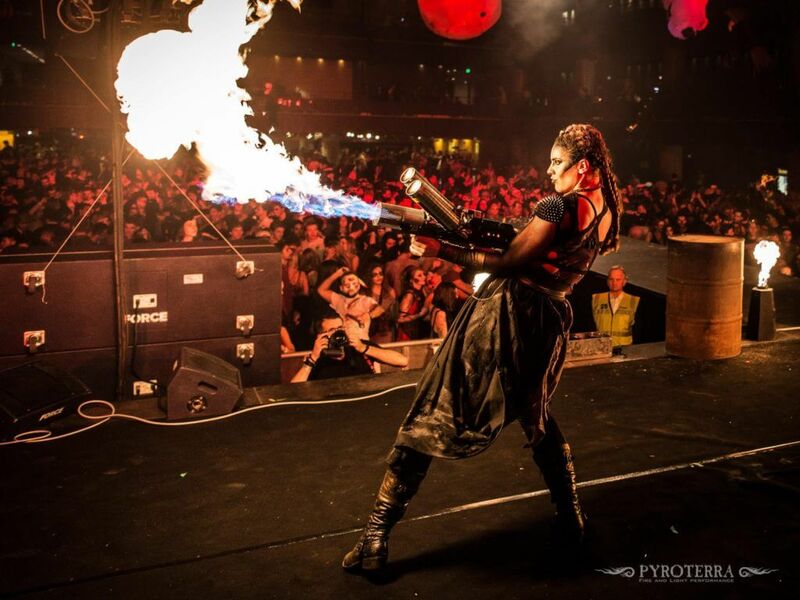 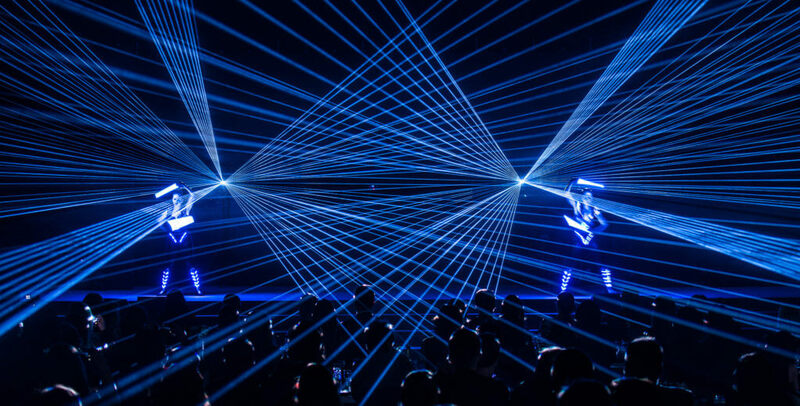 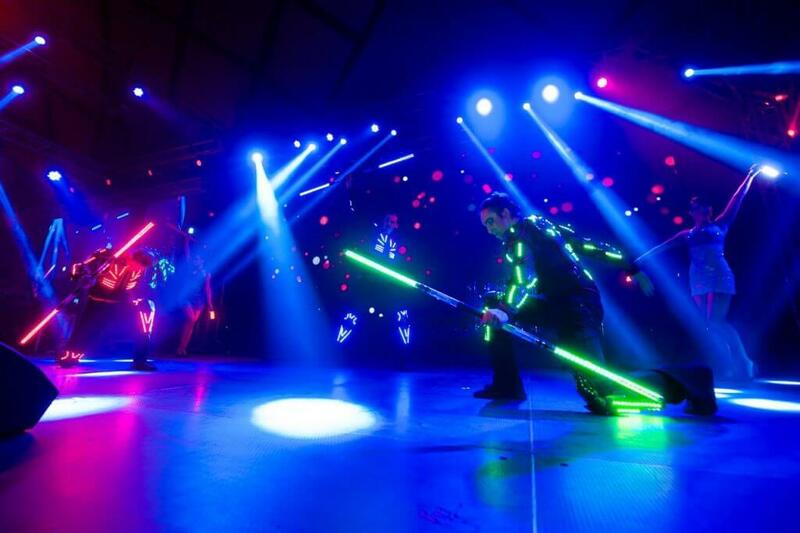 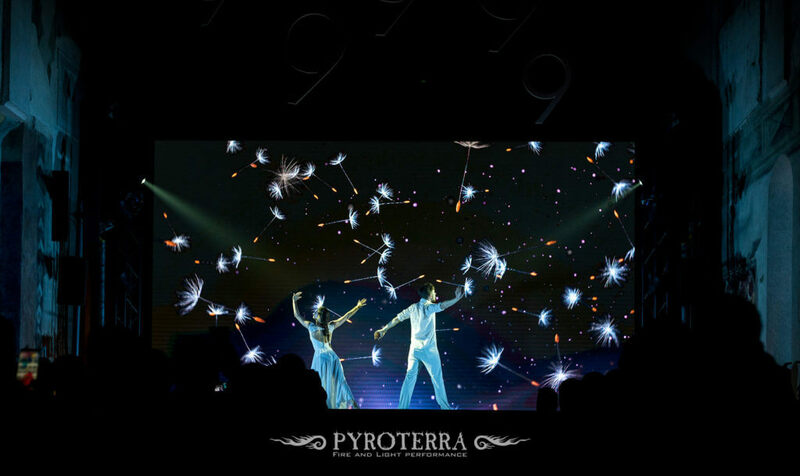 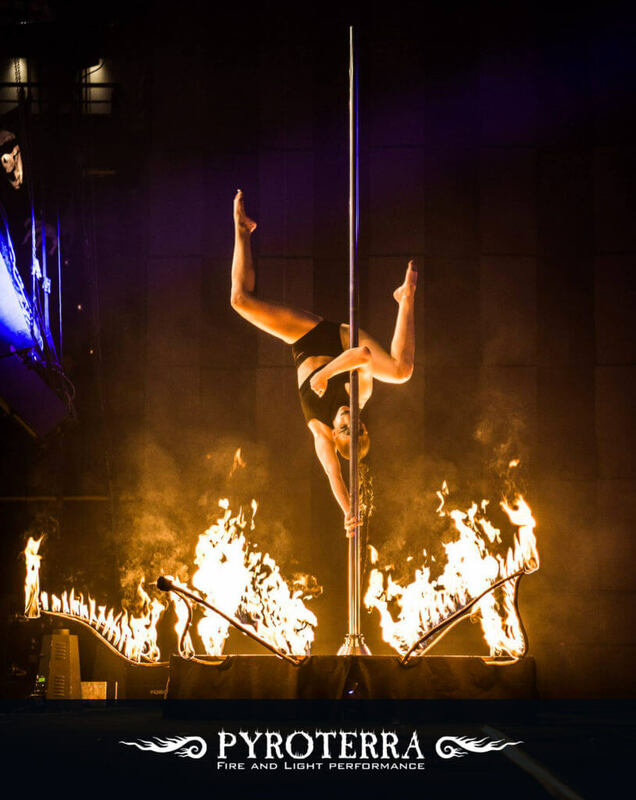 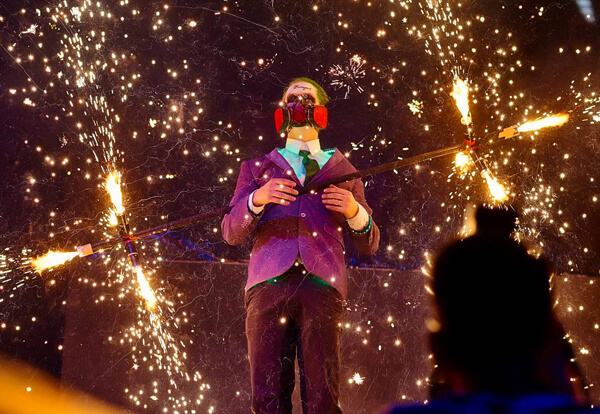 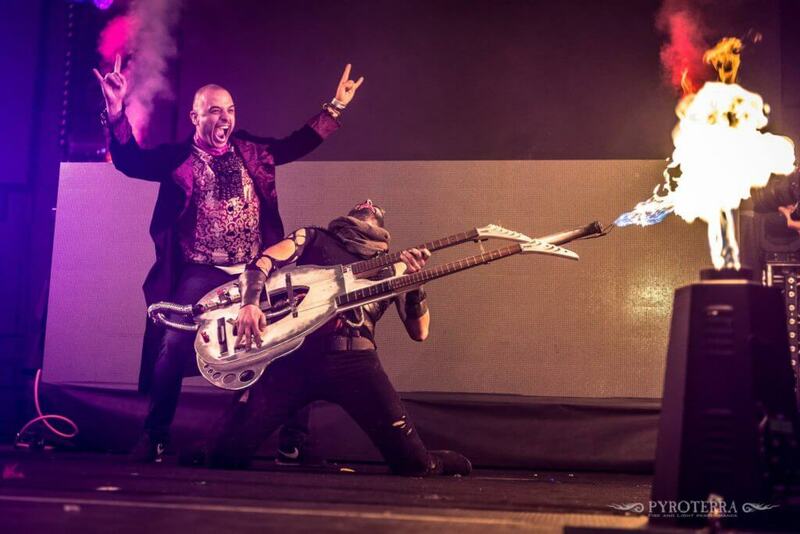 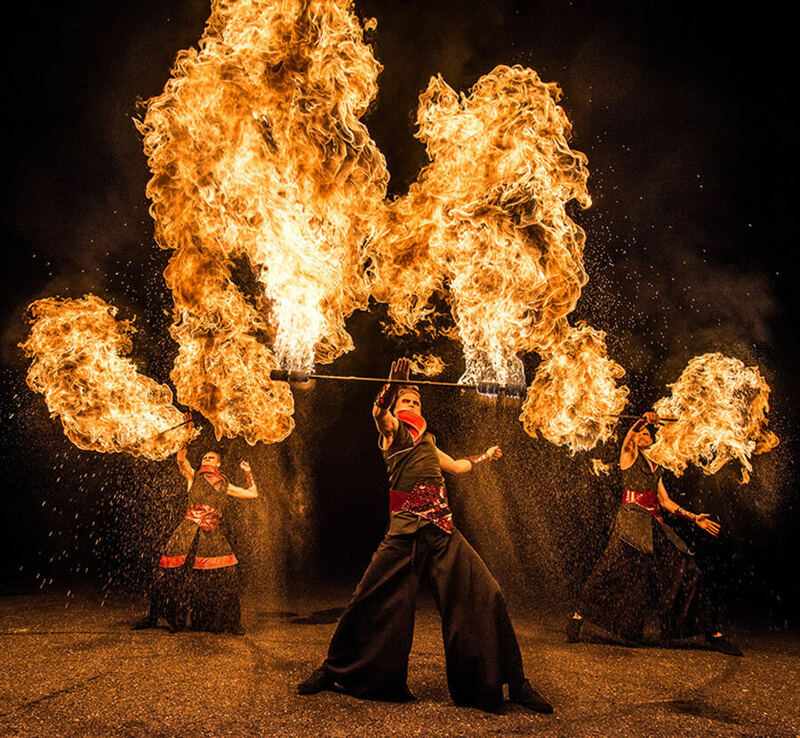 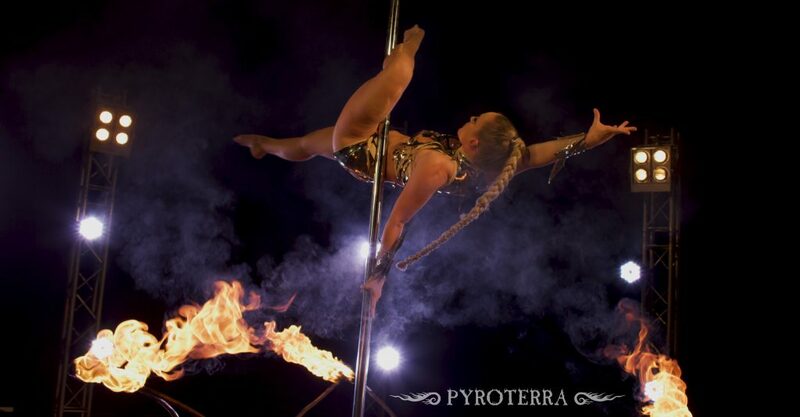 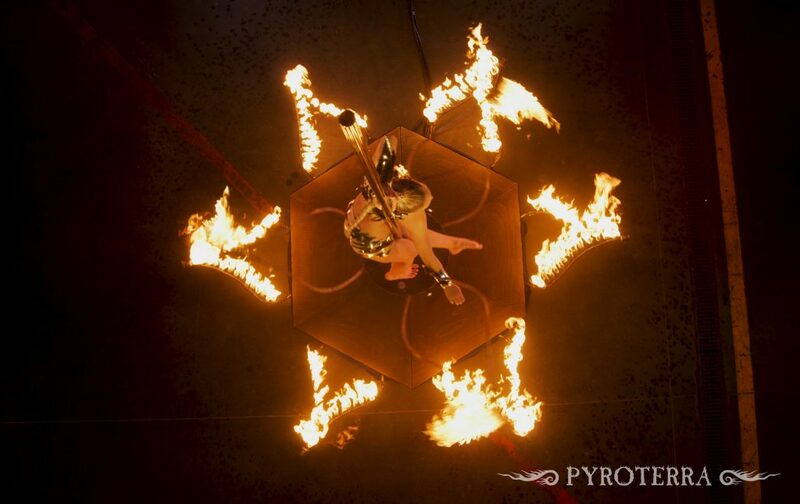 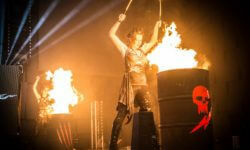 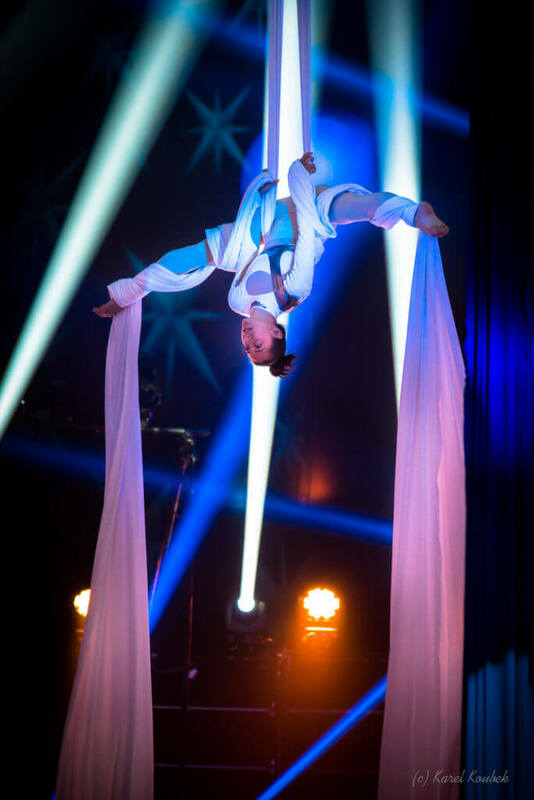 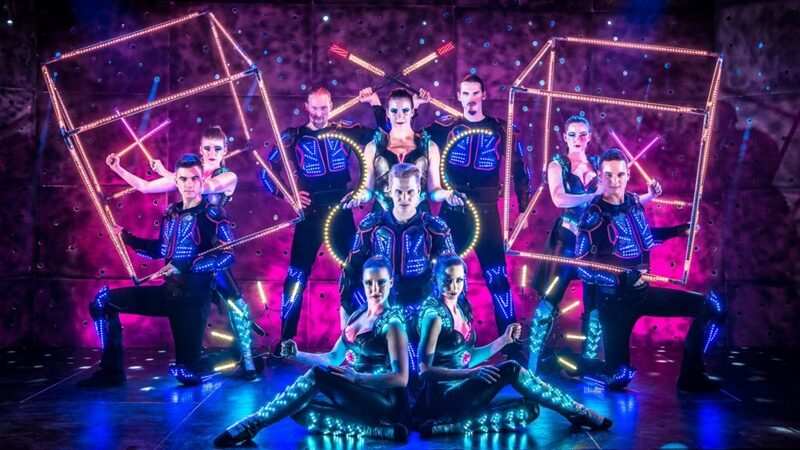 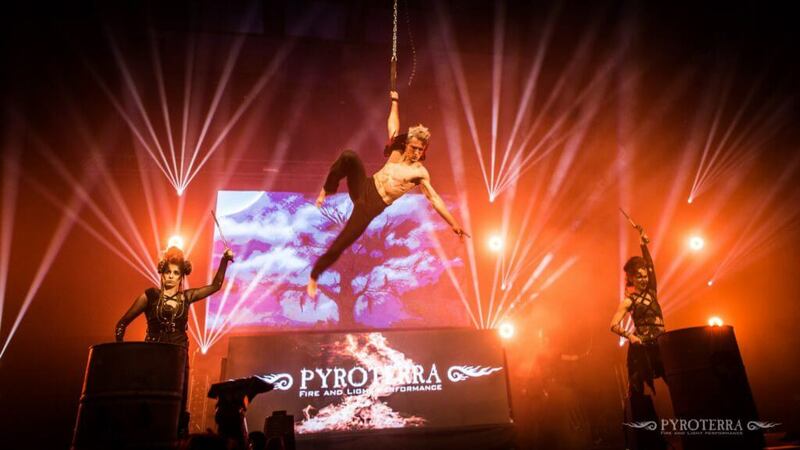 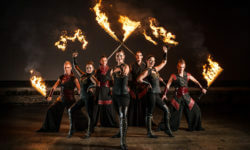 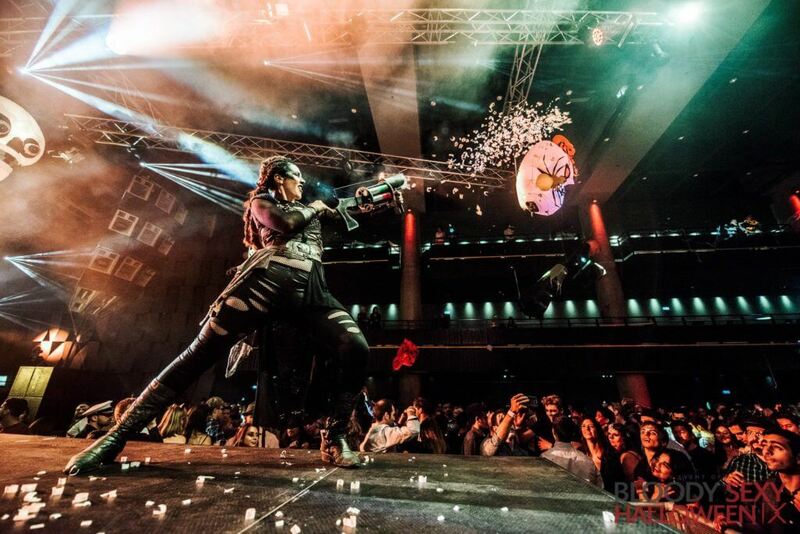 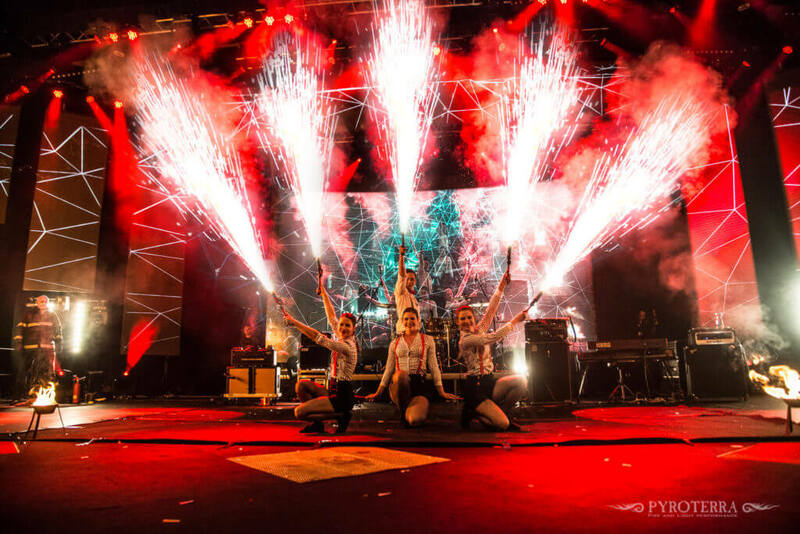 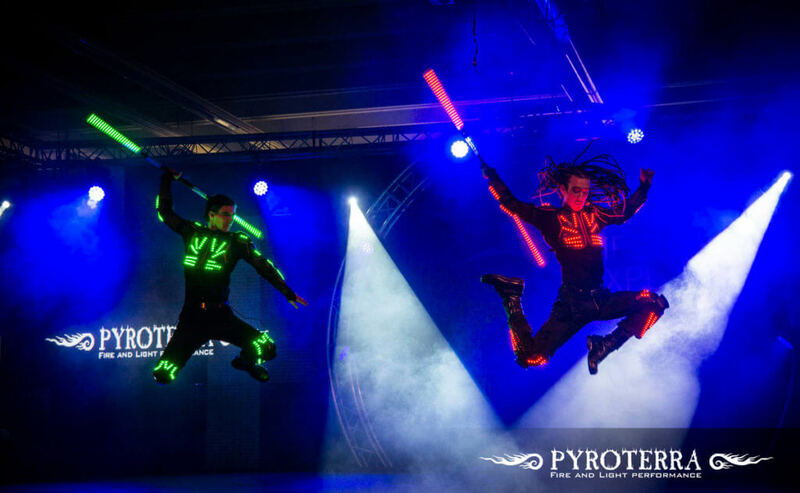 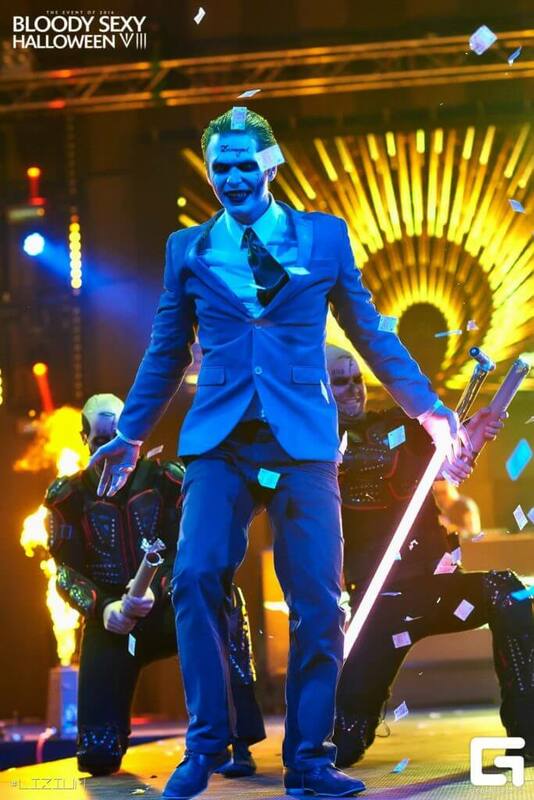 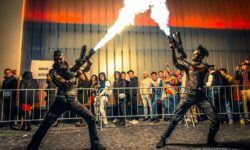 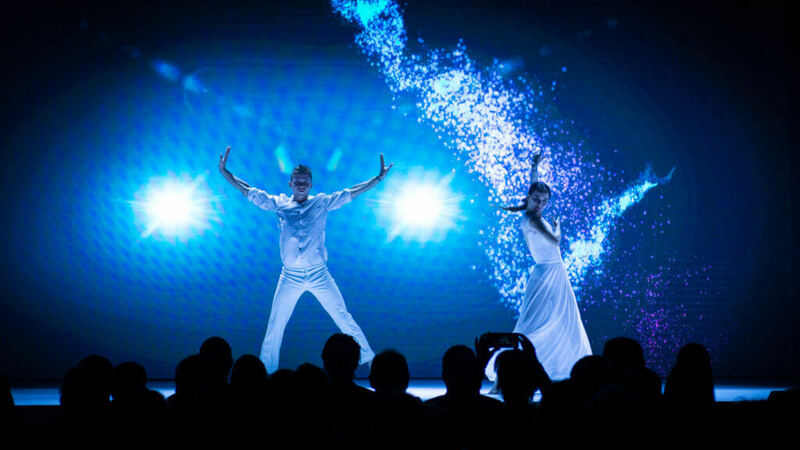 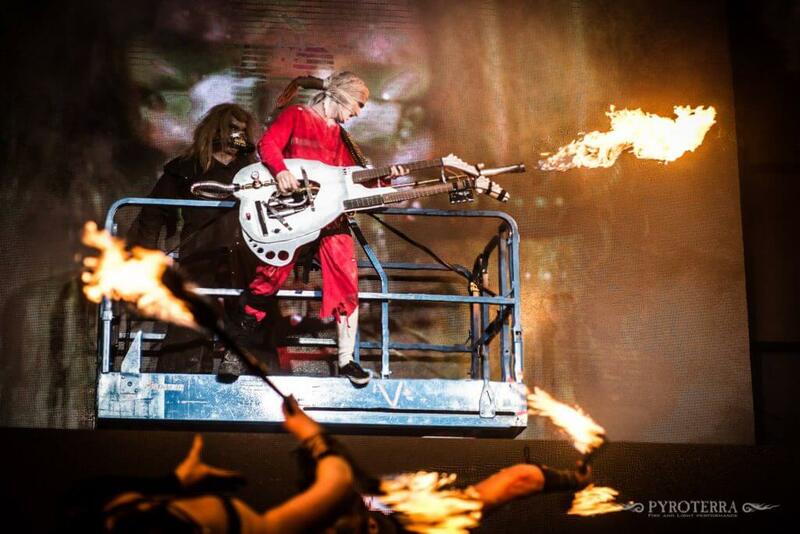 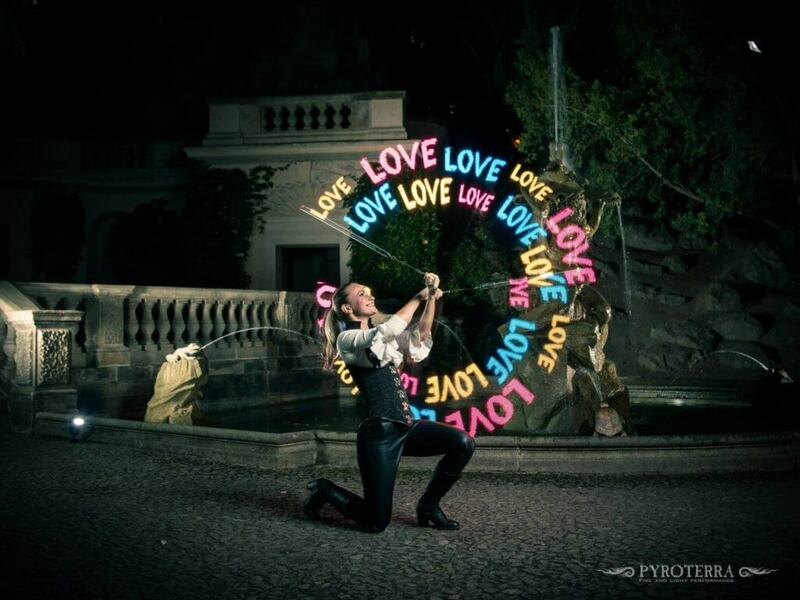 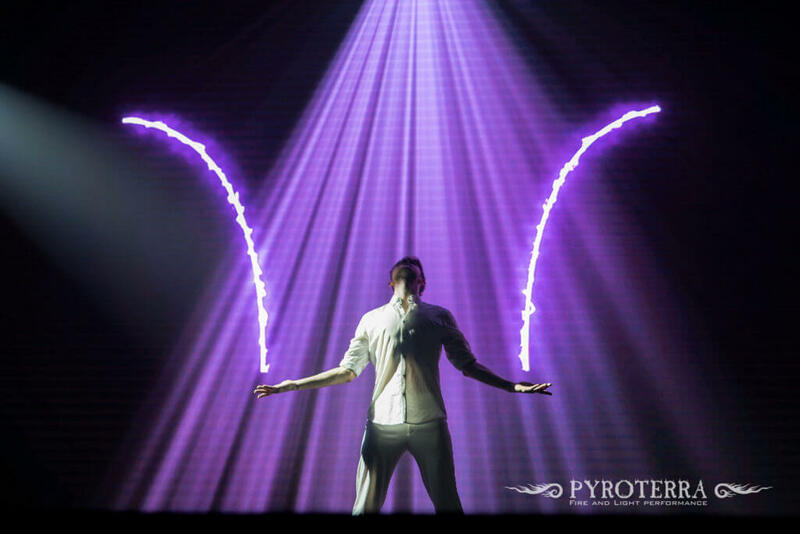 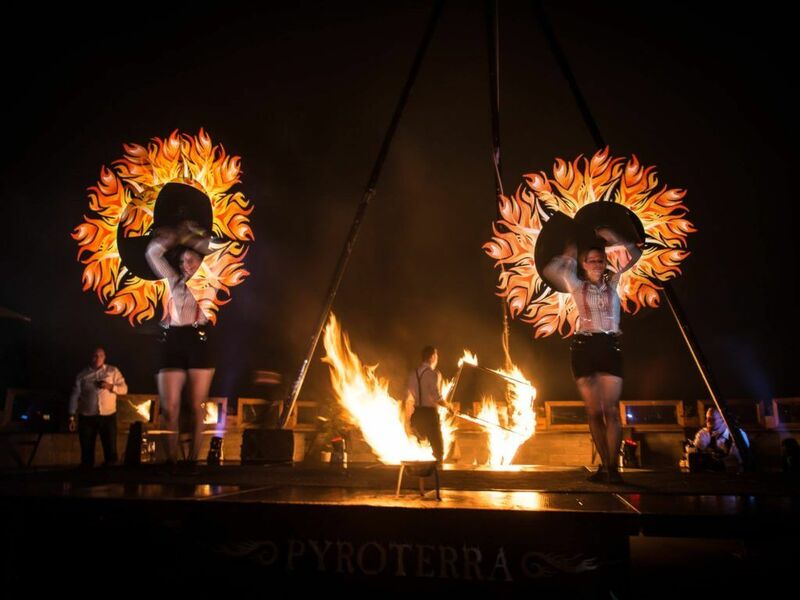 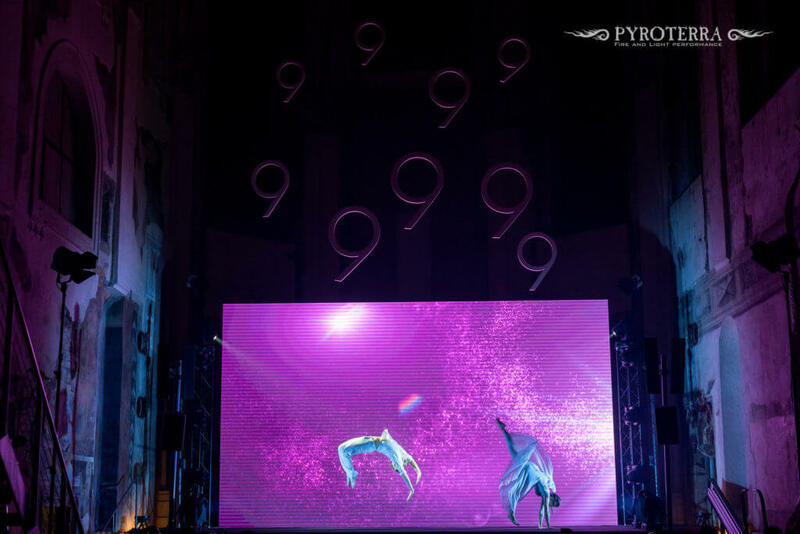 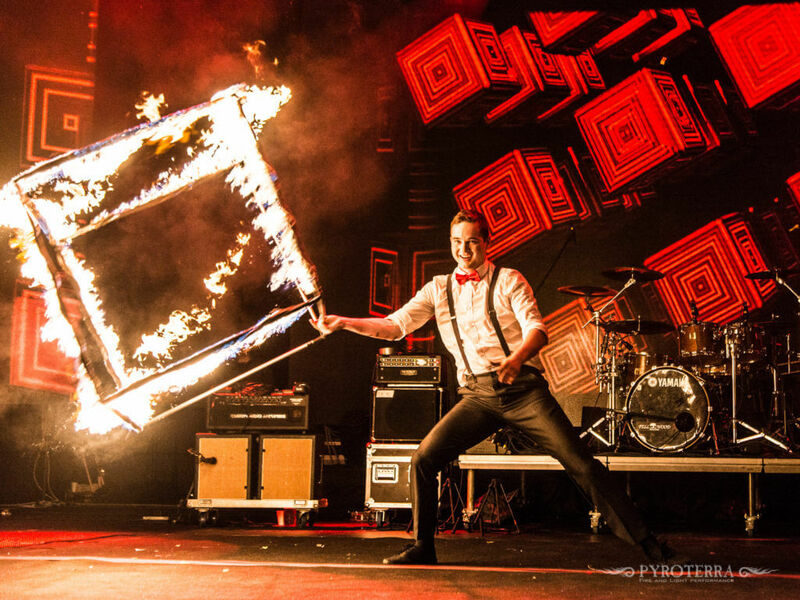 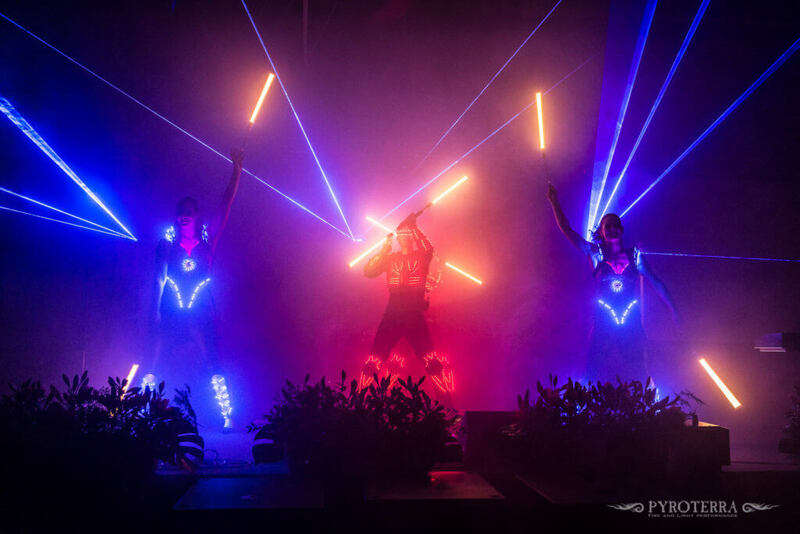 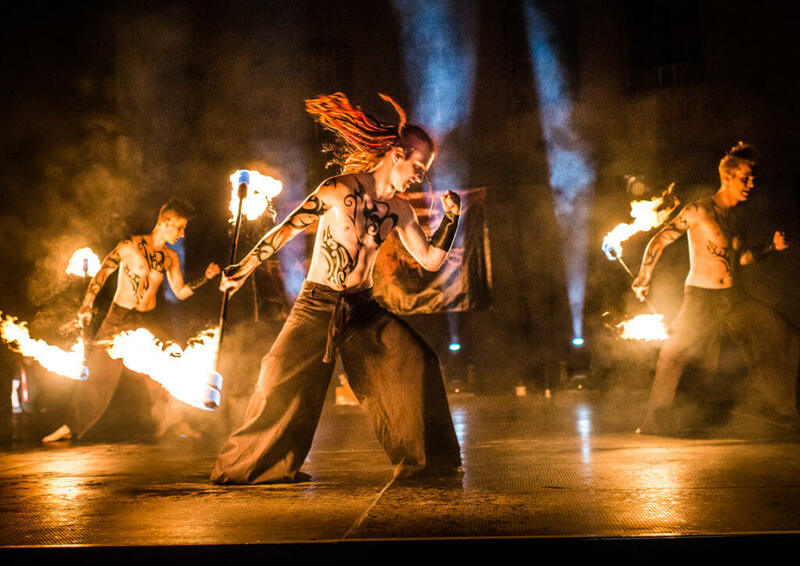 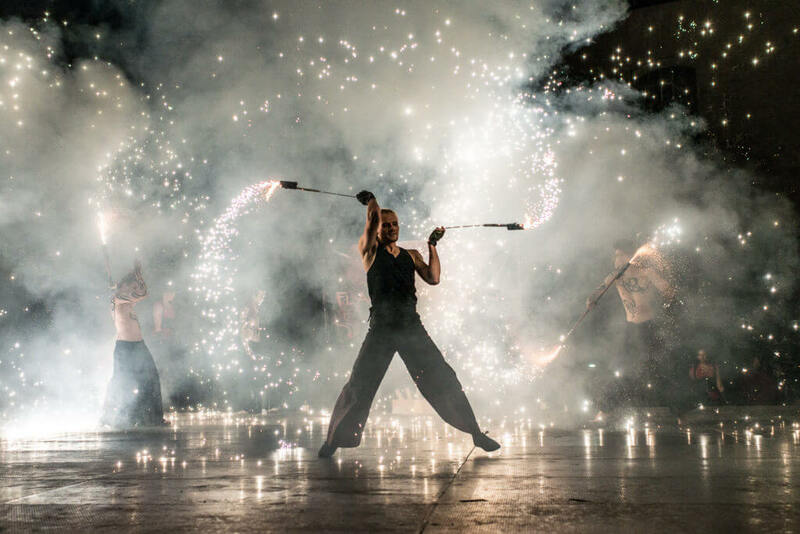 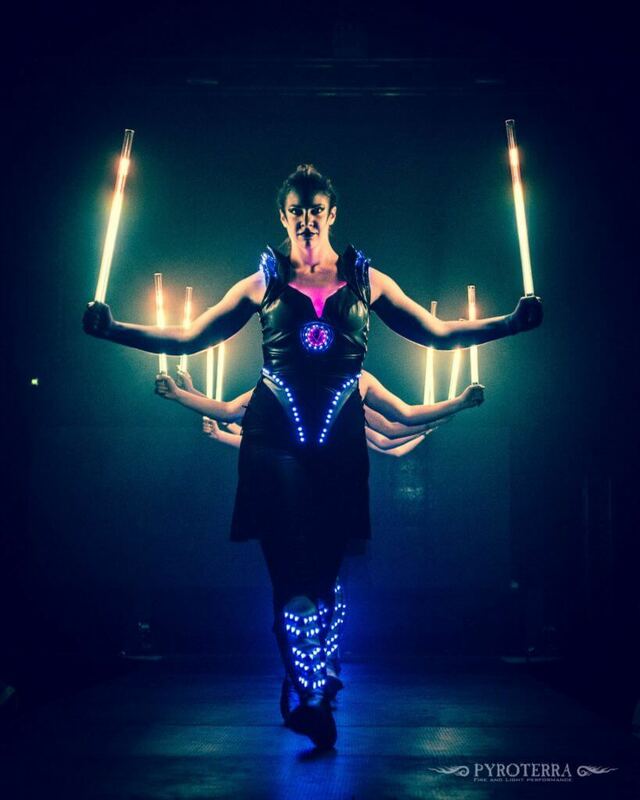 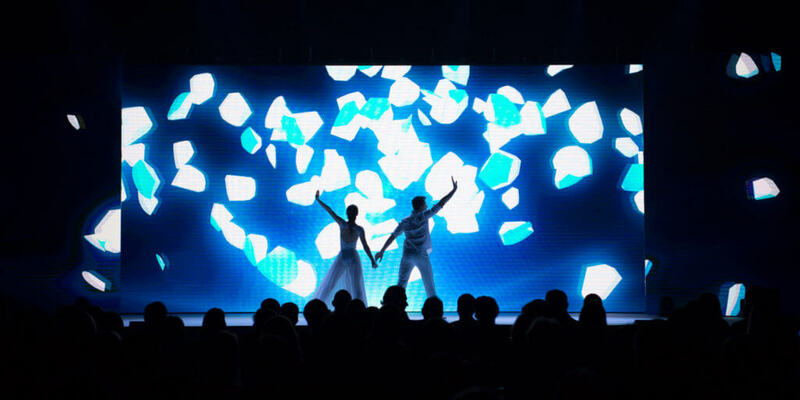 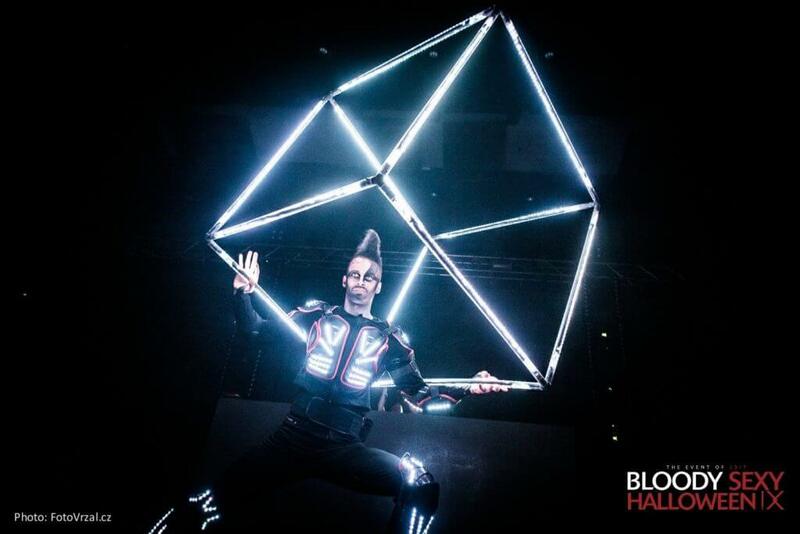 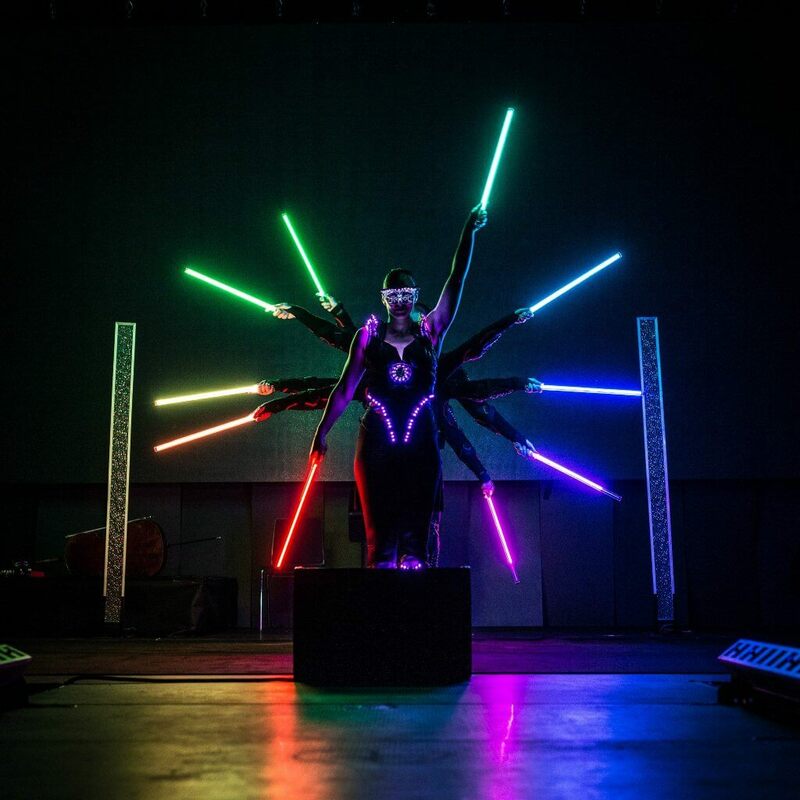 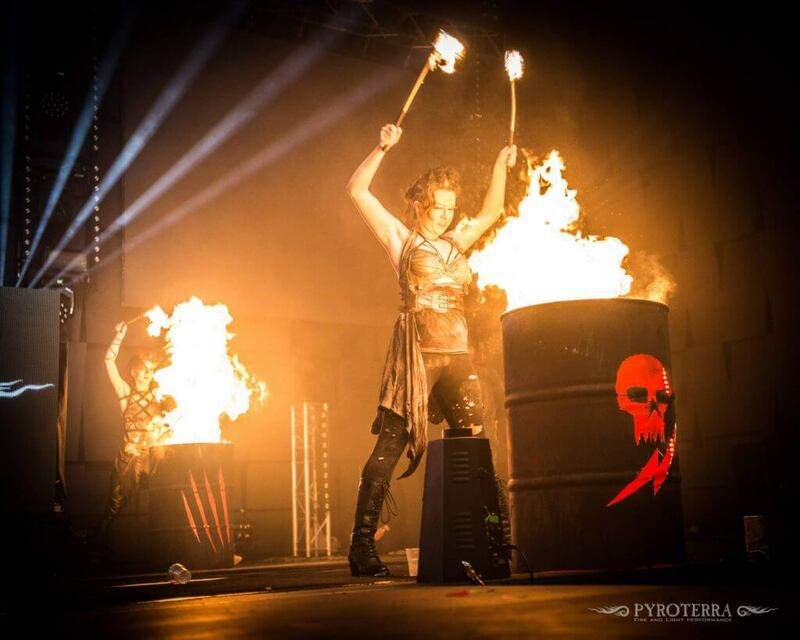 We combine all kinds of stage arts such as dancing, aerial acrobatics, flow arts and juggling with modern technologies, fire effects and special pyrotechnics. 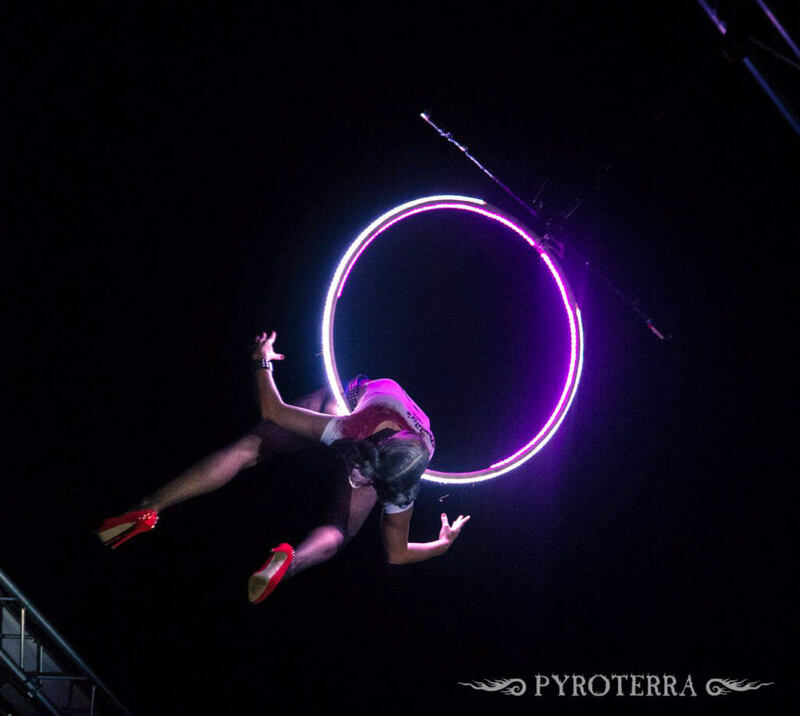 and to push the limits of what is possible. 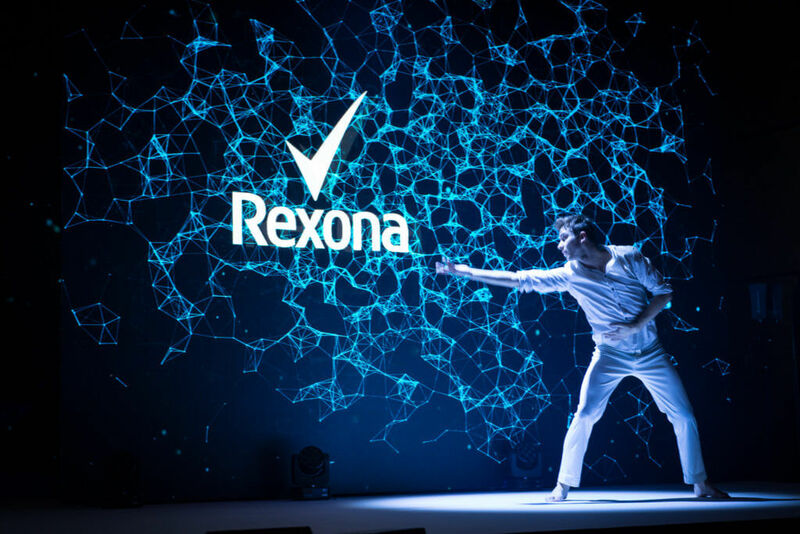 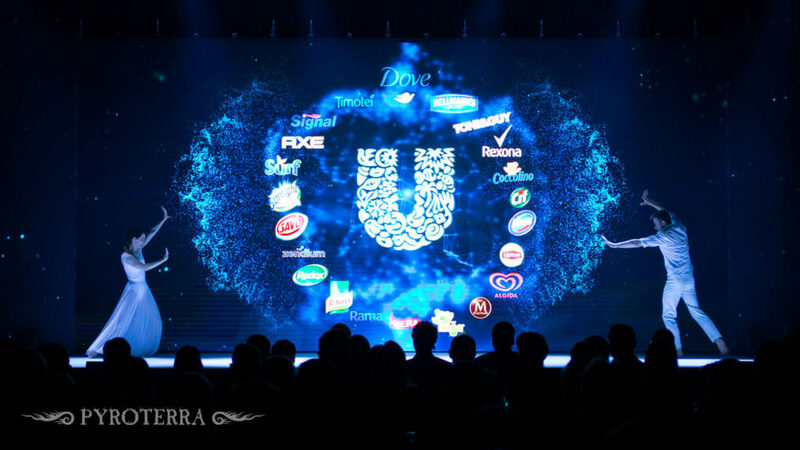 Modern way of communication with audience and brand activation. 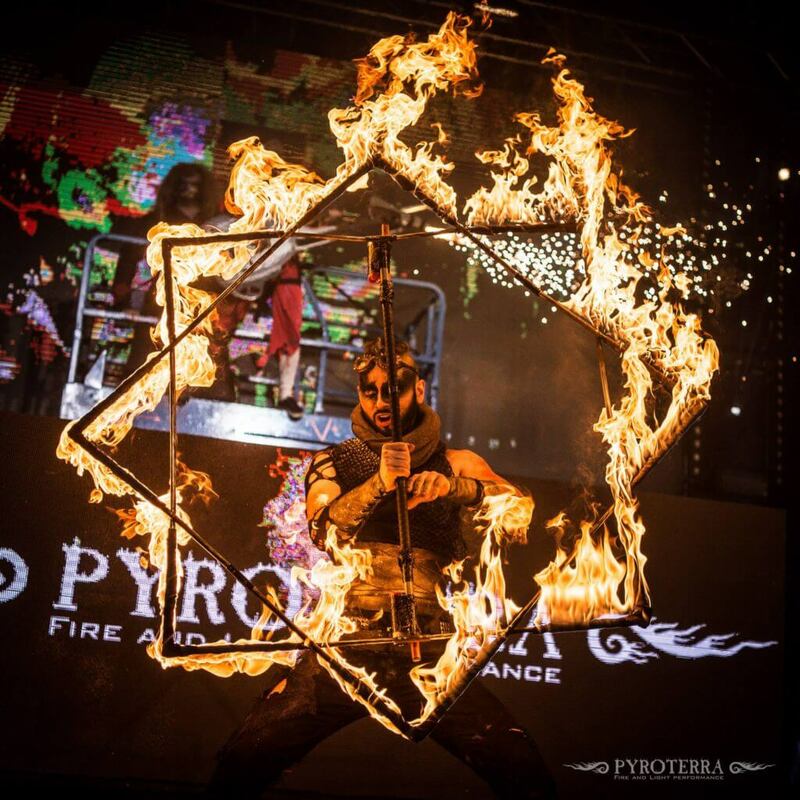 We bring an amazing opportunity of displaying any logo, graphics or text directly in the hands of our artists during any of our shows.